Let's say you have a team of medium to large and there are people with various designations in the team. You can assign roles to those team members and update the same in Orderhive. 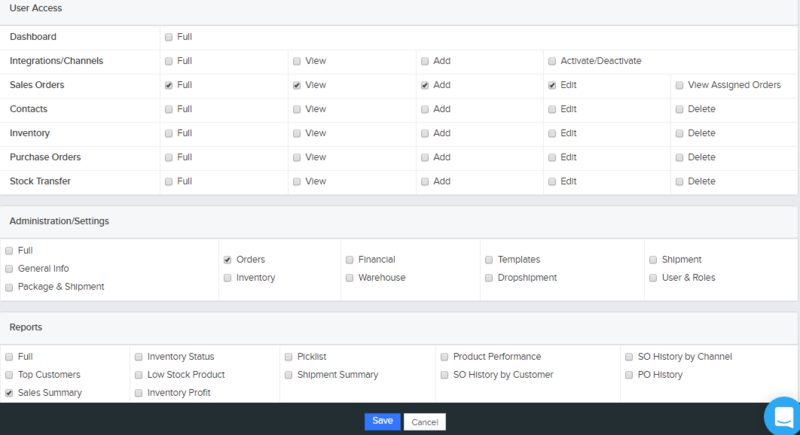 Plus, your team is going to need access to your Orderhive account in the course of their work. 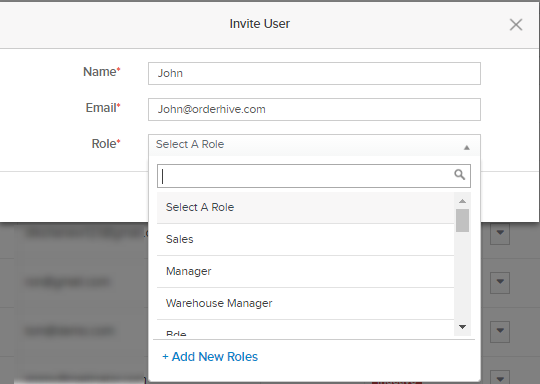 With User Access, your team members will be able to use OrderHive exactly as they need to see it. Salespeople, product managers, and retail managers can all have different experiences and only deal with exactly what is required. This customizes the user experience based on role and ensures greater data security for your business. With Administration/Settings and Report, you can give your team members, access only to certain modules, which are relevant to their designations. Go to Orderhive Settings, Select Roles. You will see already added roles with their description. If you want to enter a new Role, click on Add Role. For E.g. When you are adding a Role of a Sales Manager he should be given the permission to view only those records which are related to sales. So mark the checkbox which you think is appropriate for the Sales Manager to be given access to. Click on Save after you select the relevant fields. Now if you want to invite users to your account, you need to follow the following steps. Go to Orderhive Settings, Select All Users. Fill in the appropriate Name, Email id and the Role you are inviting him for. You can also add a role here if you don’t find the relevant role in the list. Click on Add Role, and add the required details. After selecting the role and entering valid details, click Add. You will see a success message and the record added to the list of invited users. Initially, until the user does not accept the invite request sent him on his email id, the status will be Pending Invitation. Once he accepts the invite request, it changes to Active. You can perform additional actions depending on the Status after you have invited the user to join your account. 1) Change Role: Allows you to edit the role you have the user for. 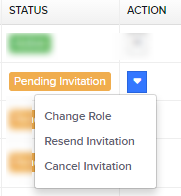 2) Cancel Invitation: Allows you to cancel the invitation that is sent to the user for acceptance. 3) Resend Invitation: Allows you to resend the invitation in case needed. Change Role: Allows you to edit the role you have the user for. Deactivate User: Allows you to deactivate the user as and when needed. Once the user has deactivated the Status changes to Inactive, and you can perform the following actions. Activate User: Allows you to Activate the user as and when needed. Once you change the status, a success message will be displayed saying you have changed the status successfully.